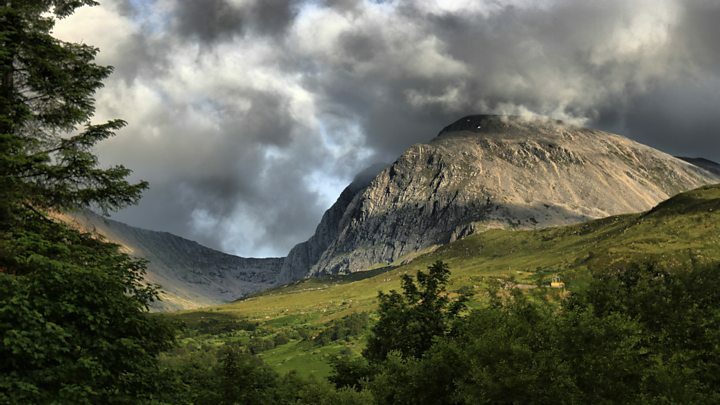 Ben Nevis, Britain's tallest mountain, is a little bit bigger than we thought. The Ordnance Survey (OS), has re-measured the Scottish peak and its official height is now put at 1,345m - a metre taller than before. The actual difference from the last official measurement in 1949 is much less - but enough for the height to be rounded up rather than down. The change comes from the precision that can now be achieved with modern technologies such as GPS. OS, Britain's official mapping agency, has already begun issuing maps with the new height. The significance of the amendment has not been lost on the agency's geodetic consultant, Mark Greaves, who had first sight of the new assessment. "Initially, I thought, 'Well, it's just a number', but then I took a look at the map and thought, 'Oh my, I've just raised the height of the tallest mountain in Britain'," he recalled. "And then of course your next reaction is to check and double-check. I had to make sure we'd got it absolutely right," he told BBC News. The official measuring point atop Ben Nevis is one of those squat concrete pillars familiar to hill-walkers all over the country. It sits on a cairn, and it was when this pile of stones was restored recently that OS experts took the opportunity to check the mountain's exact height. It is more than 60 years since this was last done, and back then, it took a team three weeks to complete the job after hauling heavy gear up Ben Nevis and nearby peaks. In those days, theodolites positioned on the "trig pillars" could be used to work out elevations by deriving angles from a system of national benchmarks. Today, however, scientists have access to the Global Positioning System, which uses as its reference the atomic clocks flown aboard a constellation of satellites. With careful processing of the space data, remarkable levels of precision can be achieved. "The GPS in your phone can be out by several metres," explained Mr Greaves. "That's because there are errors in the signals coming down from the satellites. "We have to filter those out, and one of the ways we do that is to compare the data we get on the mountain with highly accurate, permanent GPS stations nearby. "And if you do it to a high enough degree with some very sophisticated software, you get down to centimetres and better." 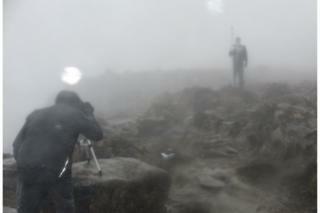 When the OS team deployed its GPS equipment on Ben Nevis, the height came out at 1,344.527m (4,411ft 2in). This was probably only a few centimetres different from the 1949 assessment, but it meant the surveyors found themselves having to round up the final number rather than rounding it down. That took the official height of the remnant volcano printed on maps from 1,344m to 1,345m. It is true that Scotland and indeed northern England are lifting up over time. This is a consequence of the Earth's crust rebounding after the loss of the massive ice sheet that used to sit on top of the region thousands of years ago. It is, though, a very slow process, on the order of a millimetre per year, and not something the Ordnance Survey has to worry too much about. Have you ever been to Ben Nevis? Send us your photos, and email haveyoursay@bbc.co.uk with your stories.